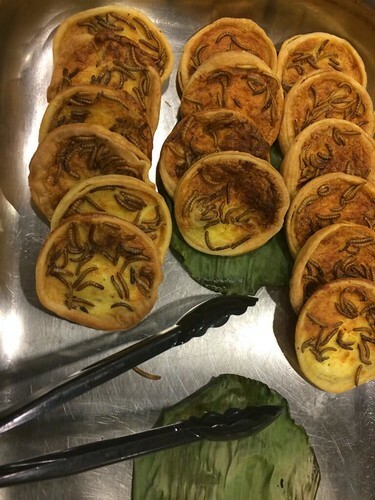 As an entomologist, the notion of eating insects isn’t new to me. However, for most Americans, the thought can make their stomachs churn. And yet, maybe seeing insects on their dinner plates is something Americans should get used to seeing. Yesterday, I delivered the keynote address at the Insects as Food Conference, which was hosted by the FAO and Wageningen University in the Netherlands. As director of USDA’s National Institute of Food and Agriculture (NIFA), my goal is to ensure that the science we invest in leads to solutions to today’s most pressing challenges. One of those challenges relates to our world’s growing population, which is expected to exceed 9 billion by 2050. We need to find new ways to feed all people while minimally impacting the environment. This “9 Billion Problem” has implications for how we grow and view food now and in the future.